Patients today are doing a lot of research about the upper Lip Lift. One of the most frequent questions I get is if the surgery involves the muscle of the upper lip. Patients want to know if my technique involves only the skin, or if I lift the muscle in any way. My Lip Lift technique involves lifting the skin only, and I do not involve the muscle. It seems one of the biggest proponents of technique incorporating the muscle is Dr. Randal Haworth in California. In 2008, he and I met on a trip to China representing the American Society of Plastic Surgeons, and I enjoyed his company. But I have a different approach to the upper lip lift and I will explain why. On this photo you can see an artistic representation of the muscles around the mouth. As you can well see it is not just one muscle. All those muscles act in concert when your mouth is moving to speak, eat, or express your emotions. They act in a complex balance of forces, each one acting independently and contributing to the unique way your facial expression works. If they are working well, I see very little reason to mess around with them. Sort of like if it ain’t broke, don’t fix it. You do not need to alter the muscle, because the muscle is not the problem. The problem is the skin. Secondly, even if I decided for some reason that I definitely must deal with the muscle, there is the issue of the possibility of nerve damage. 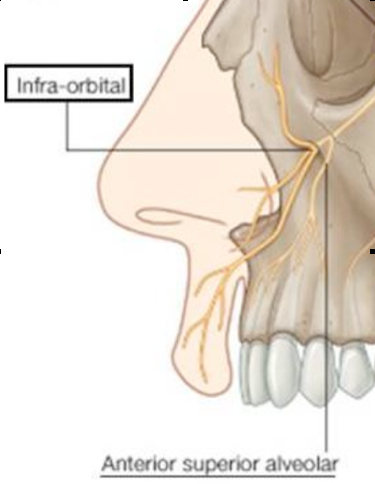 If the Lip Lift technique does involve the muscle, consider this photo which shows the anatomy of nerves around the lip area, where the surgery is performed. You can see the nerves in yellow going thru the upper lip right where the muscle is being worked on. The potential for damage is too much for my taste. I have been performing this procedure with this technique for over 10 years, and I have always been very happy with the results! If your upper lip is too long, the muscle (or nerve) is not the problem–it’s the long length of the skin space. My mantra is, ‘don’t go looking for trouble where there is none.’ For this reason, I just cut the skin, I leave the muscle alone. The lift in a Lip Lift comes from fixing the skin of the lip to the septum cartilage of the nose and the though membrane surrounding the nasal bone openings. It is this fixation that prevents distortion of the nose, thickening of the scar, or migration of the scar. Just take a look at our patients’ results, and remember that after the procedure what your friends will see is not just a picture of your lip, but how it moves. There are dissolvable sutures at the dermis layer and at the skin. There are a total of 5 to 6 permanent sutures (5-0 Nylon) from the septum cartilage to the dermis and from periosteum to dermis. These hold the tension and prevent relapse. I do not like sutures on the muscle, although some muscle is always caught up in the arc of the suture path. The reason is I want to minimize effects on muscle action or risk of damage to nerves that traverse through the muscle. I have never had this problem, but don’t want it to happen. My technique is very safe and has stood the test of time. Skin only lip lifts are solid when anchored to the nasal septum and periosteum of the nasal bones.These structures are fixed. My lip lifts are permanent and relapse can only occur if one of the sutures breaks, which is a very rare event and can be corrected easily. Some other methods use muscle hemming techniques, and this can interfere with nerve supply, muscle function, etc. These are much harder to handle than a broken suture. The issue of anchoring is really important as most of the complications (thick scars, displaced scars, distortion of the nose) related to lip lift are related to tension on the wound. Anchoring the skin to solid elements (septum, perichondrium) eliminates tension. My technique has a very solid record, and many happy patients. I am 53 with small lips and 2 cm philtrum. I read somewhere that skin only lifts don’t last as long as other methods to lift the lip. Is that true ? How long does your technique last? Your problem is very common as a byproduct of age. We do not take smiling photos post operatively, although now that you mention it we probably should! We can get you in contact with patients who have had the procedure done. Although I cannot tell you how much improvement you will have, I can assure you it will be significant and noticeable. I have been doing this for over 15 years and have more experience that the vast majority of people who do the procedure. If interested, we could set up a Skype or FaceTime virtual consult where we can discuss at length and I can get a better idea of how I can help you. Contact kelly@cosmeticsurg.net for more info. I am a 74 year old woman who has always been self-conscious about my smile. As I age, my teeth are even less visible when I smile, and I try to force my upper lip to go up so my teeth (which are really nice) will show. It causes me to scrunch my face and causes lines around my eyes. The problem is getting worse (comparing photos to 20 years ago). Most of your before and after photos are with non-smiling photos. Is there a way to see any smiling photos? I am very interested in your way of doing the lip lift since you do not engage any muscle which can cause nerve damage. But I would like to know how much improvement I would get in the tooth visibility issue before doing the lift. 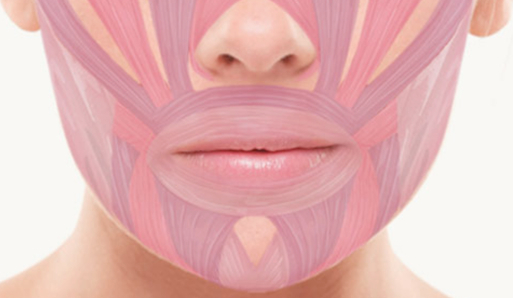 The risk of scarring is due to tension at the skin line. Surgeons who are not familiar with this technique are understandably reluctant to try it. My technique totally eliminates tension by suturing the underside of the lip to rigid immoveable structures- the nasal septum and the periosteum (the membrane covering the bone). We do this with a permanent suture. We have done this for over 10 years and have done many hundreds of them. I have only had problem s with thick scar on 2 patients, both african americans with a history of keloid scarring. But I have also done it on many other african americans with a history of keloid scars and DID NOT get thick scars with those. Don’t be afraid, you just need surgeon who does it safely and reliably! I’m wondering how much it would cost to do a lip lift? I really liked the last photo where 1cm of skin was removed. However, I’m only 27 and have heard from other surgeons that the risk of scarring doesn’t justify the benefit of the procedure in a young person. Thanks! The reasons for visible scar, thick scar and nasal distortion all come from the same cause- tension at the skin closure. My technique completely avoids this by anchoring the skin of the upper lip to the septum of the nose (which is fixed and will not move), and to the periosteum (membrane covering the bone) in the area of the nostrils. By the time I close the skin, the skin of the nose and the upper lip are already touching each other and totally without tension. My results speak for themselves and you can check my reviews at Realself, or look at my results in the website. Those problems can occur but are totally preventable. The key is to anchor the underside of the skin to stable structures like the cartilage septum of the nose, and the bony membrane (periosteum) at the floor of the nose. Because the skin is fixed to those structures and NOT to the skin of the nose, the shape of the nose does not change. As a side benefit, when the skin is anchored to these stable structures there is no tension on the skin so there is no scar thickening or migration. Hi, is it true that a lip lift can change the shape of the nostril holes of the nose, dragging them down and making them longer ? I would need to review your case before giving you an opinion that makes sense. Details such as how much skin was cut, where the suture was placed, how was it fixed, etc. Something as simple as a suture release might work or a rotation of tissues. Contact Kelly at kelly@cosmeticsurg.net so we can set up a virtual consult and I can evaluate your lip motion on video live. Hi Dr. Rodriguez. Is there anything can be done for a too short lip due to a lip lift. It was done with permanent sutures but no muscle. Thanks. I have the long upper thin lip that droops at the edges . When you do the upper lift , is it an extra charge to lift the corners . I am considering a trip to visit my daughter , she lives in fredrickburg MD . I am 66 years old and I always look sad. Hoping I can get some help. Unlike the upper lip, where working with the muscle poses a lot of pitfalls, working on the lower lip is the opposite. The muscle involved in the corner lip is not the muscle of the lips itself, the obicularis oris, but a nearby muscle, the Depressor anguli oris (DAO). there are also no intertwined sensory nerves to worry about. The key thing in the operation is to upset the balance of forces between the muscles that pull the corner of the mouth up and those that pull it down. The skin part of the procedure is not as important. I excise a little bit of skin only, but it is mostly to make sure we create some space between the divided ends of the divided DAO. I am looking into corner of the mouth lift. I had a plastic surgeon who told me not to do this because he said that he used to do them but he said the results didnt last long enough and the fact thay it left scars. What is you take on this. Without knowing more specifics it is difficult to make ANY judgements about this case. Nerve damage can be to sensory nerves or motor nerves. The nerves that can be damaged where the incision is made are sensory nerves. The abnormality you note is a motor derangement. Motor nerves come in laterally, away from the lip lift incision so they are unlikely to get damaged. What you describe is probably related to muscle, but again, I don’t have any of the specifics. If it is muscle, it will probably subside. I have a client who suffers from nerve damage following lip lift surgery. Whenever she smiles or attempts to put on lipstick, etc., her mouth/face on the right side begins to spasm uncontrollably. It appears that the physician inexplicably involved the muscle, thus causing the nerve damage. Is it a deviation from the standard of care for a physician to involve the muscle in a lip lift procedure? if necessary, you can respond confidentially to the email address provided. There is no “standard of care” for a lip lift procedure as it is a relatively new procedure that not many surgeons perform. Likewise the surgeons that do perform it have a lot of variation in their technique. My approach is based on my understanding of the anatomy, but some other surgeons have their own reasons for doing their procedures. I am very sorry for your nerve damage but don’t lose hope because when there is nerve damage, nerves from the surrounding area grow slowly to cover the most of the territory of the damaged nerve. Give it time, it will get better. Would it be a deviation from the standard of care for a physician to involve the muscle in a lip lift procedure? Patient had lift, physician inexplicably involved the muscle, and there was permanent nerve damage. It looks like the surgeon did not anchor the lip skin to deeper and stable structures such as periosteum or cartilage. For that reason the normal pull of the lips puts traction on the nostrils and creates the flaring (which widens the nostril) and pull down (that causes the “big cave” effect) that you are seeing. We need to set up a virtual consult to plan next steps. We CAN help you, and would be glad to do so. I am hoping you may be able to help me. I had a muscle hemming lip lift and now my philtrum columns are asymetrical. My upper lip is pulled to one side and the upper lip is not centered over my teeth. Also the bottom of my nostrils have been changed in a negative way. Is it possible to center my lip and is there anything that can be done to build up my nostril base. It looks like I have big caves as nostrils now. These are a lot of questions and requires an involved discussion. This can be done with a virtual consult. I’ll let Kelly know you are interested. In general, I prefer fat transfer to v-y advancements as these can result in somewhat boggy appearance. As far as multiple procedures, yes we do them, it depends on what you are trying to achieve. GM Dr R. Have been doing a lot of research for lip lifts, smile lifts and implants. Had lip augmentation back in 1995/96. It was not as sucessful as I would have hoped. The dr used the fascia from scalp for implant material in both lips. As soon as swelling went down, I could not even tell I had lip augmentation (top lip was still to long, I guess back then lip lifts were not as common as they are today…although I would stare in the mirror and push the skin under my nose upward and think if only I could get some of this skin removed). The second procedure was to implant thin strips of gortex into my lips for volume, unfortunately the gortex popped out of my bottom lip, it was never sutured, and to even out my top lip the dr used long strips across my entire top lip but then to justify the thinner side of the right side he cut strips in half to pump up the volume. This has caused the half strips to become encapsulated so the when I purse my lips one can see a point in my lip under the cupid’s bow. So here are my questions, can/will you remove the gortex strips from top lip, do a lip lift and add the soft lips material? What are your thoughts on the vy procedure for lip fullness for both top and bottom lips? AND after all of that, can you perform a smile lift, an upper lip lift (perhaps with either vy or “soft lips” material for both upper and lower lips) all at the same time? If not, would the gortex need to be removed and my lip allowed to heal before any of the other procedures? I ask this as I will be an out of town patient. But after doing my research, I want you to perform my lip surgeries!!!! How long will recovery be and what would the cost of these 3, possibly 4 surgeries cost? By the way I will hit the big 5 0 at the end of this year and am tired of always looking angry/mad. (or has my husband would say having a “sour puss” look. Thx! Diana. I would need to see pictures to be able to suggest the best alternative for you. In general, when there is so much tooth show, the best thing to do is filler. Have you tried fillers? Even if the lip looks too long, once you add vermillion (the red part of the lip) with a filler the proportions may change. one may also consider filing down the teeth if they appear too long. All of these are wild guesses and I would have to see your pictures to give you an accurate idea of what to do. And yes we do multiple procedures often and a discount applies to the second procedure. Would you do a lip lift on a 44 yr old female where the distance is 1.55 cm, but when the lips are relaxed you still see half the upper teeth? My upper lip is very thin and the distance to the nose seems too long, but would the lip lift give a buck teeth type of look in this situation? I’m considering doing the lip lift with a brow lift to correct eyelid hooding and assume that you can do them together and possibly give a discount for 2 procedures at once. One could possibly release the scar and inject some fat in between so the muscle would not reattach. I had a liplift that involved the muscle and then the doctor attached the muscle to the periosteum. Now I can’t move my upper lip normally. I cannot lift it from the center at all. Can this be reversed? I answered on your other post but just want to add that racial background is not as important in the face and if you use proper technique. I have done hundreds of these and scarring has not been a problem. I may have posted my question on the wrong section. Sorry if this is repeat. I am prone to scars. What is the likelihood that i will get scarring with this procedure? Are there times where patients may be better off not doing a lip lift if the changes of scarring are significant? I have had an uptick both in requests for information as well as patients booking surgery. For men I recommend a lip length more on the order of 1.3-1.5 cm depending on circumstances. Very interesting post Ricardo. I’ve noticed that this surgery has become quite popular even with men recently. Have you had many male clients over the past few months? Excellent information Dr. Rodriguez you are a master doing upper lip lift I am very happy with my results. Thanks!!! Only minimally. There is a procedure called the corner lip lift that lifts the corner. You can also inject botox to the muscle that depresses the corner of the mouth. I do this quite a bit and it works well but is temporary (3 to 6 months). That muscle can also be resected, but I don’t do that procedure. Does this improve droop at the corner of the mouth in any way?